It has already begun. Below you will find Naomi’s answers from questions sent into the website in April 2011, but if you have any questions for her—about her work or craft of writing—visit Ask Naomi and send in your questions! Bethany writes: Is there any talk at your publishers about issuing a second omnibus of Empire, Ivory, and Tongues? I know it wouldn’t be ‘soon’ because Tongues of Serpents came out very recently! Congratulates on the itty bitty baby! 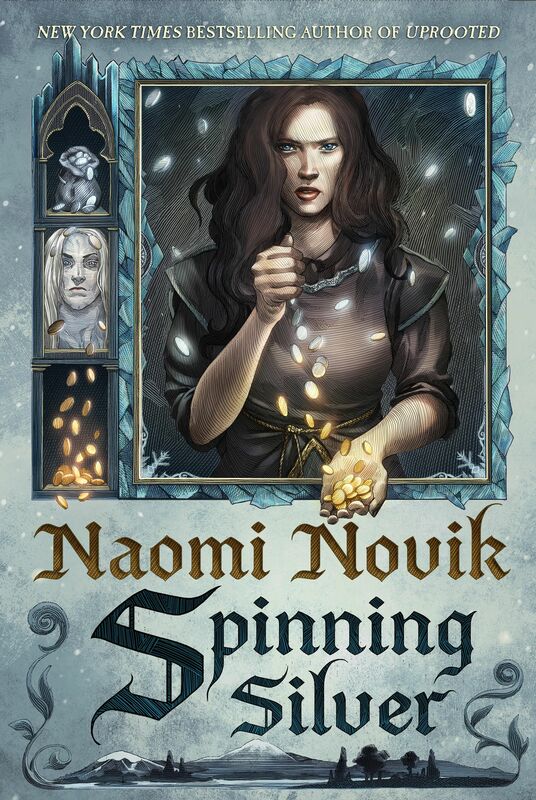 Naomi Novik responds: Thank you! Itty bitty baby is now tipping the scales at 16 lbs and I have a hard time lifting her anymore! And yes, Del Rey does plan to do an omnibus of books 4-6 (and then 7-9) in the US, but the timeframe is still up in the air — possibly for the holiday season in 2011? But don’t quote me on that! Anonymous: I know that Peter Jackson is busy making The Hobbit right now, but could you give us any more information on whether he plans to make Temeraire into a movie yet? Naomi Novik responds: All I can tell you is I am indeed very hopeful we will one day see Temeraire in action! You can read more about Peter’s thoughts about how he might do Temeraire in this interview by Quint of Ain’t It Cool News. Michelle D. Keyes writes: Do you see an end at some point for the Temeraire series? Do you have any plans to start another series at some point in the future? Naomi Novik responds: Yes, the Temeraire series will end with book 9, as yet untitled, which will bring the Napoleonic Wars to a close. There may be more adventures in the Temeraire universe from me after that, but if so I think they will be set in different eras and/or places. Lars Petrick writes: Will Temeraire come back to China and his “dragongirlfriend” and get an egg with her? Naomi Novik responds: The graphic novelization rights were part of the movie deal, as it happens, but I would love to see a Temeraire graphic novel and I very much hope we both do, some day! Book 7 is written and has a tentative release date of Spring 2012. Books 8 and 9 have no release date as they haven’t been written yet. Any chance of a Temeraire video game? Will they finish the airfield near sydney anytime. even after the end of the Napoleonic wars, for example with a new adventure for Temeraire and Laurence i like your series and characters very much and I would be glad if there were as many books as possible about Temeraire Laurence and their friends for example about twenty. Wow! I love the Temeraire series, and I am only just on Empire of Ivory! Can’t wait for blood of tyrants to be released! When is the german realese for Blood of tyrants? You will have to ask the German publisher. Naomi and I aren’t privy to foreign release dates, sadly. Sometimes printing errors happen. You can take the book back to where you bought it and get a replacement copy. All bookstores allow that, especially if you held on to your receipt. If you didn’t, then you can contact Del Rey via Suvudu.com and I’m sure they will help you get a replacement copy. Let me know how it goes. Cheers!